Arduous trekking for 18 days from Jumla over the high but technically easy Kagmara La pass (5040 m), to Ringmo and via Num La to Juphal. 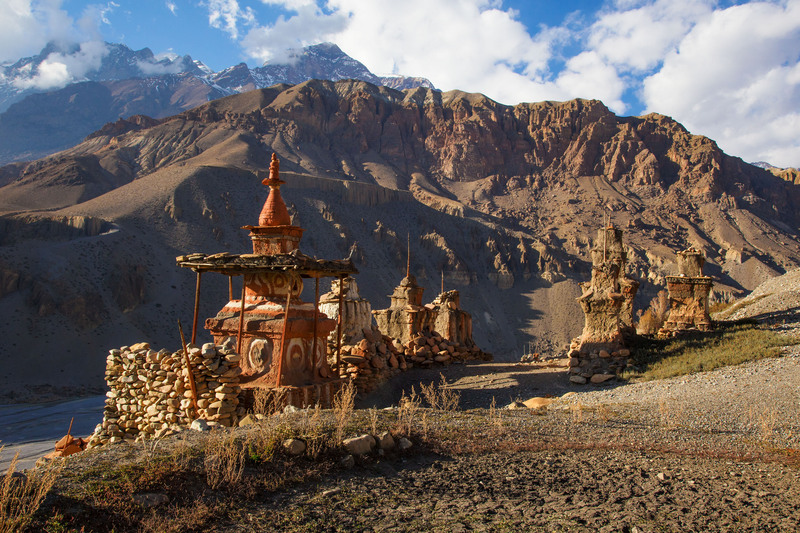 Rice cultures in the Jumla region. Trek Difficulties - Snow on the Kagmara La and Num La. - High altitude.